Nuclear power constitutes the world’s most subsidy-fattened energy industry, yet it faces an increasingly uncertain future. The global nuclear power industry has enjoyed growing state subsidies over the years, even as it generates the most dangerous wastes whose safe disposal saddles future generations. Despite the fat subsidies, new developments are highlighting the nuclear power industry’s growing travails. For example, France — the “poster child” of atomic power — is rethinking its love affair with nuclear energy. Its parliament voted last month to cut the country’s nuclear-generating capacity by a third by 2025 and focus instead on renewable sources by emulating neighboring countries like Germany and Spain. As nuclear power becomes increasingly uneconomical at home because of skyrocketing costs, the U.S. and France are aggressively pushing exports, not just to India and China, but also to “nuclear newcomers,” such as the cash-laden oil sheikhdoms in the Persian Gulf. Such exports raise new challenges related to freshwater resources, nuclear safety and nuclear-weapons proliferation. Still, the bulk of the reactors under construction or planned worldwide are in just four countries — China, Russia, South Korea and India. The stock of the state-owned French nuclear technology giant Areva recently tumbled after it cited major delays in its reactor projects and a “lackluster” global atomic-energy market to warn of an uncertain outlook for its business. For example, the Areva-designed plant in Finland, on Olkiluoto Island, is running at least nine years behind schedule, with its cost expected to rise from €3.2 billion to almost €8.5 billion. Even in Areva’s home market, the Flamanville 3 reactor project in northern France is facing serious delays and cost overruns. In Japan, the last of its 48 commercial reactors went offline in September 2013. 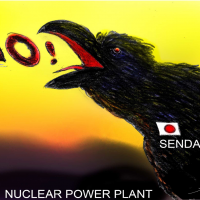 Repeated polls have shown that the Japanese public remains opposed to nuclear restarts by a 2 to 1 margin, despite toughened safety regulations after the March 2011 disaster at the Fukushima No. 1 nuclear power plant. Yet the southern city of Satsuma Sendai in Kagoshima Prefecture recently gave its consent to restarting, as soon as early next year, two reactors operated by Kyushu Electric Power Company. Nuclear power has the energy sector’s highest capital and water intensity and longest plant-construction time frame, making it hardly attractive for private investors. The plant-construction time frame, with licensing approval, still averages about a decade, as underscored by the new reactors commissioned in the past decade. In fact, the World Nuclear Industry Status Report 2014 acknowledges that 49 of the 66 reactors currently under construction are plagued with delays and cost overruns. Commercial reactors have been in operation for more than half a century, yet the industry still cannot stand on its own feet without major state support. Instead of the cost of nuclear power declining with the technology’s maturation — as is the case with other sources of energy — the costs have escalated multiple times. Just in the past decade, average costs jumped from $1,000 per installed kilowatt to almost $8,000/kW. In this light, nuclear power has inexorably been on a downward trajectory. The nuclear share of the world’s total electricity production reached its peak of 17 percent in the late 1980s. Since then, it has been falling, and is currently estimated at about 13 percent, even as new uranium discoveries have swelled global reserves. With proven reserves having grown by 12.5 percent since just 2008, there is enough uranium to meet current demand for more than 100 years. Yet the worldwide aggregate installed capacity of just three renewables — wind power, solar power and biomass — has surpassed installed nuclear-generating capacity. In India and China, wind power output alone exceeds nuclear-generated electricity. Before the Fukushima disaster, the global nuclear power industry — a powerful cartel of less than a dozen major state-owned or state-guided firms — had been trumpeting a global “nuclear renaissance.” This spiel was largely anchored in hope. However, the triple meltdown at Fukushima not only reopened old safety concerns but also has set in motion the renaissance of nuclear power in reverse. 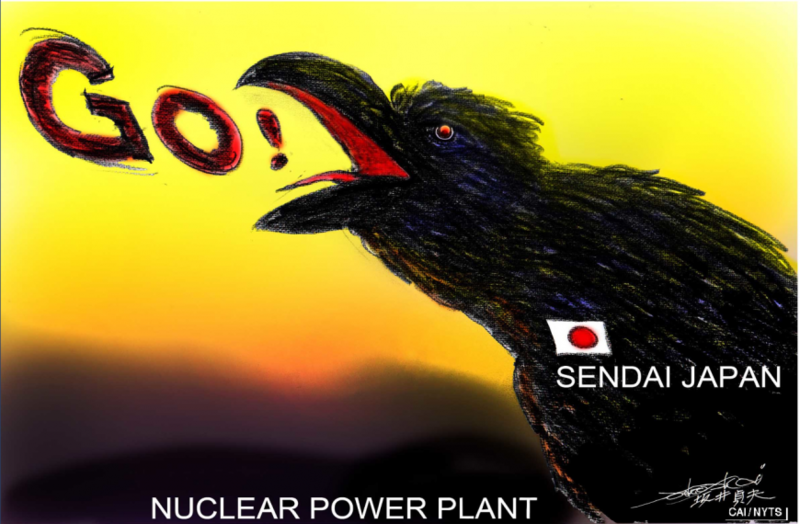 The dual imperative for costly upgrades post-Fukushima and for making the industry competitive, including by cutting back on the munificent government subsidies it enjoys, underscores nuclear power’s dimming future. New nuclear plants in most countries are located in coastal regions so that these water-guzzling facilities can largely draw on seawater for their operations and not bring freshwater resources under strain. But coastal areas are often not only heavily populated but also constitute prime real estate. Moreover, the projected greater frequency of natural disasters like storms, hurricanes, and tsunamis due to climate change, along with the rise of ocean levels, makes seaside reactors particularly vulnerable. The risks that seaside reactors face from global-warming-induced natural disasters became evident more than six years before Fukushima, when the 2004 Indian Ocean tsunami inundated the Madras Atomic Power Station. But the reactor core could be kept in a safe shutdown mode because the electrical systems had been installed on higher ground than the plant level. In 1992, Hurricane Andrew caused significant damage at the Turkey Point nuclear power plant in Florida, but fortunately not to any critical system. And in a 2012 incident, an alert was declared at the New Jersey Oyster Creek nuclear power plant — the oldest operating commercial reactor in the U.S. — after water rose in its water intake structure during Hurricane Sandy, potentially affecting the pumps that circulate cooling water through the plant. All of Britain’s nuclear power plants are located along the coast, and a government assessment has identified as many as 12 of the country’s 19 civil nuclear sites as being at risk due to rising sea levels. Several nuclear plants in Britain, as in a number of other countries, are just a few meters above sea level. Yet even as Germany steps out of the nuclear power business, Britain is pressing ahead with a costly new nuclear power station at Hinkley Point, underscoring the divisions among European countries over nuclear power. Britain indeed intends to build several more plants to replace its aging nuclear stations. The Hinkley Point project, however, is running years behind schedule, with the costs mounting. Globally, nuclear power is set to face increasing challenges due to its inability to compete with other energy sources in pricing. Another factor is how to manage the rising volumes of spent nuclear fuel in the absence of permanent disposal facilities. More fundamentally, without a breakthrough in fusion energy or greater commercial advances in the area that the U.S. has strived to block — breeder (and thorium) reactors — nuclear power is in no position to lead the world out of the fossil-fuel age. Brahma Chellaney, a regular contributor to The Japan Times, is a geostrategist and the author, most recently, of “Water, Peace, and War” (Rowman & Littlefield).